After years of lobbying by banks and credit card firms, MPs and regulators have caved in. They’ve decided to protect banks rather than consumers from the enormous cost of decades of fraudulent conduct, specifically the mis-selling of PPI. Nobody will raise an eyebrow because they are ‘spinning’ the legislation, convincing everyone that this is all aimed at protecting CONSUMERS. Make no mistake, this is all about protecting BANKS. The Financial Guidance and Claims Bill has just completed it’s progress through the House of Lords and will soon become an Act of Parliament and when it does, it will be banks, not consumers, who will cheer the loudest. 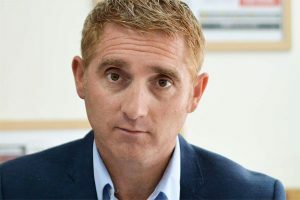 This comes fast on the heels of the ‘time bar’ recently introduced by the FCA, prohibiting any new PPI claims from being filed after August 2019. This has been on the cards since George Osborne ousted the top man at the FCA, Martin Wheatley. Capping Fees – surely that’s a good for consumers? The Financial Guidance and Claims Bill seeks to do two significant things. It is capping the fees that Claims Management Companies and Law Firms can charge for the work they do on PPI claims. It is also banning those firms from charging any ‘upfront fees’. Now most consumers might be tempted to think, ‘Surely that is a good thing’? That is exactly how MPs, regulators and banks are presenting this, the consumer being ‘protected’ from the ‘excessive fees’ charged by greedy PPI claims management companies. As the Managing Director of a Claims Management Company, let me explain just how this industry works and why it’s days are now numbered. The typical fee we charge is 25% plus VAT of whatever money we recover for you. All the PPI cases we work are processed on a ‘NO WIN NO FEE’ basis. That means, we might do months of work and pay out significant sums or our own money to the banks to gather data on your behalf but in the end, we might not be able to get you ANY money back, and therefore all that work will have been done for FREE! 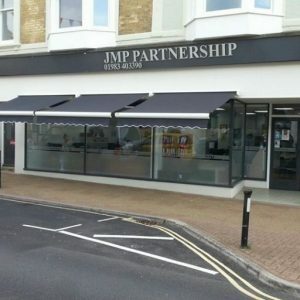 Currently around two out of every five people who become clients of JMP Partnership either weren’t sold any PPI, or it was sold so long ago that we can’t locate any data about it or recover the premiums paid. At the end of the process those ‘NO PPI’ clients get a letter to say that we have been unable to locate any mis-sold PPI and therefore, because we work on a ‘NO WIN NO FEE’ basis, there is no charge for our service. Our typical ‘NO PPI’ client costs us about £300 but it can be as high as £500. Then there is a category of client for whom we do locate and recover mis-sold PPI, but only a small amount, say under £500. We make no money at all from this category of client, they typically cost us about £200 each. 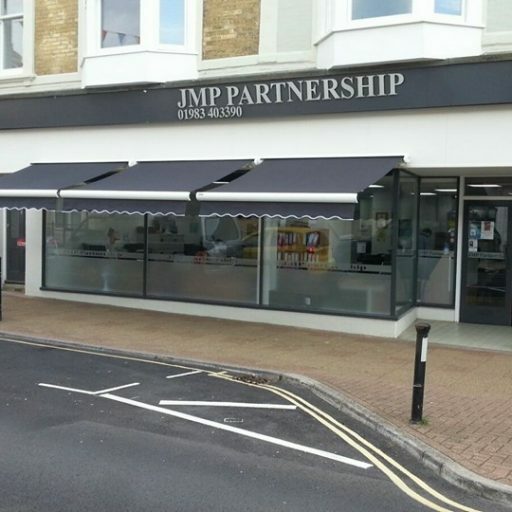 They account for a further 30% of JMP Partnership clients. Then there are the clients for whom we recover ‘significant sums’, anything from £1000 to £100,000. This category accounts for only about 30% of the people we do work for. The fees charged to this category cross subsidises the work we do at a loss for thousands of other clients. Now you may think, why don’t we just charge a fixed fee for every financial institution a client has been with, say £150 per claim? 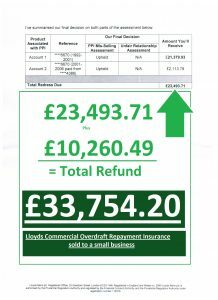 As the picture below, taken straight off our Management Database shows, out of over 20,000 accounts worked on in the last few years, only 2103 resulted in the client receiving a refund that was ‘billable’. If we charged a small fixed fee per claim, 70% of clients, those who received no refund or only a very small refund, would have paid us substantial sums and been worse off. Yes, those who got the biggest refunds would have saved thousands, but many of them would have been put off making a claim in the first place, fearful of a bill from us if we recovered no money for them. Even if that model was practical, and people were prepared to pay a ‘fixed fee’ irrespective of the outcome of their claim, it is now going to be unlawful to charge upfront fees or fees in excess of 20% of the sum recovered due to this legislation. WHAT DOES THE FUTURE HOLD FOR the CMC INDUSTRY? In early 2018 many Claims Management Companies will close their doors for the last time, unable to swallow the cost of all the ‘NO PPI’ cases once ‘success fees’ are capped at 20%. In the last 3 years almost 900 CMCs have surrendered their authorisation and closed their doors. The number of new applicants to the market has fallen from 304 just 3 years ago to 107 in 2016/17. Of the 107 new applications for authorisation in 2016/17, 25 were withdrawn during the application process. There are now LESS CMCs working on PPI claims than there has ever been, 674 as of 2017 down from 847 just 3 years ago. Overall, the turnover of CMCs is down by more than £200 MILLION per year since it’s peak in 2013*. This was NOT a healthy industry before these changes were brought in. These changes are designed to deal the industry a fatal blow. The question has to be asked, why is Parliament so keen to kill an industry that employs tens of thousands of people and pays BILLIONS in tax to HM Treasury? Could the answer to that question be simple or am I just cynical? Have donations to the Conservative Party from bankers and hedge fund managers influenced policy? According to this story in the Independent, since the 2015 general election 18.6 per cent of all donations to the party – totalling £8.4m – have come from hedge funds or people associated, while 6.5 per cent or £2.9m have come from investment bankers and the finance sector in general. He who pays the piper apparently does call the tune? Disaster for Consumers – Massive Boost for Bankers? Many people will tell you that CMCs are just parasites, that consumers can and should bring their own PPI complaints and not involve these ‘PPI claims companies’. If this industry has no value, then why should we cry if it is driven to the wall? After all, the advice of the respected consumer organisation WHICH? is ‘do it yourself, don’t use a CMC?. The industry regulator prevents me from saying that consumers get better outcomes if they use the services of a CMC as against doing it themselves, so I have to be very careful about how I communicate WHY I think the service our firm provides is worth every single penny. Because we are effectively gagged from telling you what we really think, I will show you an ACTUAL real life example of the work we did for a couple recently and let YOU decide for yourself if you could have done this? If you could, then by all means, you don’t need the services of a CMC? 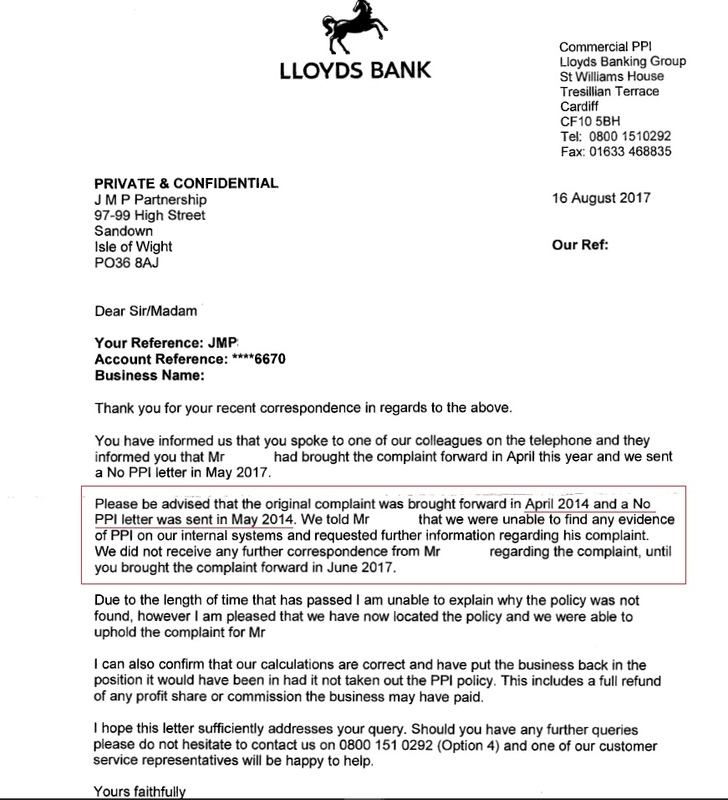 Back in 2014 Mr & Mrs C contacted Lloyds Bank to raise a complaint. They were concerned that their small business might have been caught up in the PPI mis-selling scandal. In response to their concerns’ Lloyds wrote back in May 2014 saying they had not been sold any PPI on their accounts. You were NOT sold PPI by us! Here is a letter to us from Lloyds confirming that they told Mr & Mrs C in 2014 they had NOT been sold PPI? In 2017 Mr & Mrs C heard about the success JMP Partnership was having, getting refunds for Lloyds customers . Following our involvement this is the FIRST offer Mr & Mrs C got from Lloyds in June 2017. A refund of of over £10,200 of PPI (Commercial Overdraft Repayment Insurance or ‘CORI’) sold to our clients in 1992 and apparently cancelled in 1993. 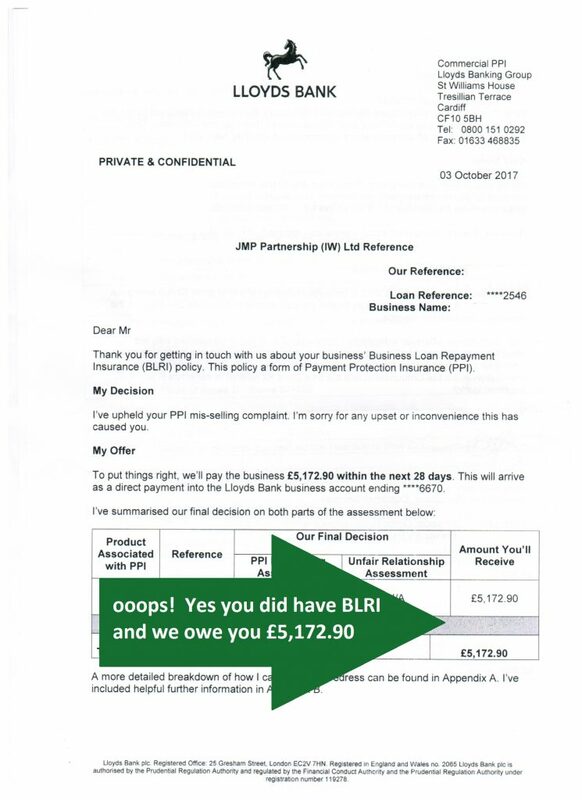 One month later, following further investigations and receipt of further data, they decided we were right and BLRI had been mis-sold to Mr & Mrs C.
Another offer, over £5,100 of Business Loan Repayment Insurance. That wasn’t the end of it. As part of our processes, we paid to get statements on ALL our clients’ accounts with Lloyds, business & personal. We spotted payments that we suspected related to another product that was often mis-sold by Lloyds – Accident Protection Insurance. In October 2017 Mr & Mrs C got their third refund, over £8,000. But this STILL isn’t the end of their story. When Lloyds provided Mr & Mrs C’s personal current account statements we realised immediately that these clients had been paying PBA fees for over 17 years. We didn’t believe that this sort of account was at all useful to Mr & Mrs C so we complained that it too had been mis-sold’. Despite already being paid over £26,000 in refunds from Lloyds, we continued to investigate. I personally sat and went through every transaction on 16 years of current accounts statements, statements that we’d paid Lloyds to get. That’s when we discovered something almost unbelievable. 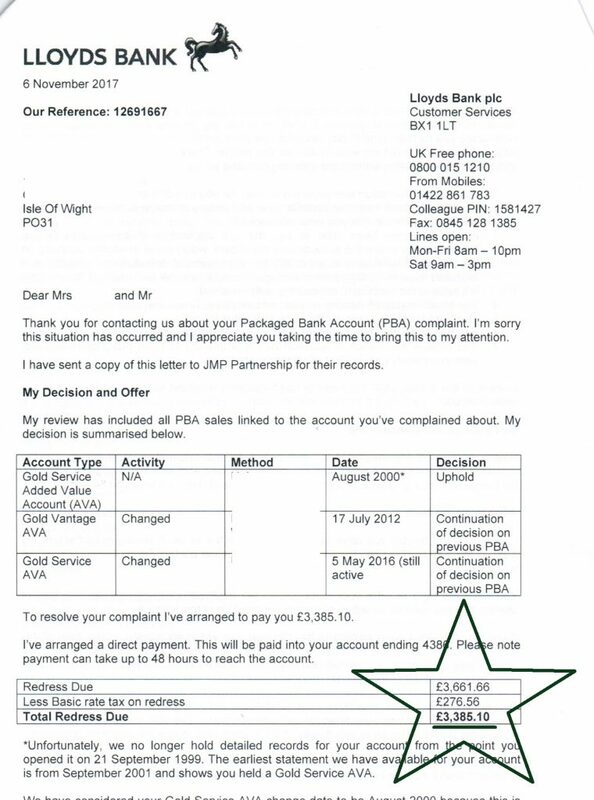 On their personal current account statements we found that the premiums for the CORI (see the £10,000 refund above) that the bank claimed had stopped being paid in 1993, were still being paid, from the client’s personal account, right up to 2006. This case is now with the Financial Ombudsman Service and Mr & Mrs C are expecting another refund, of many thousands of pounds, very soon. 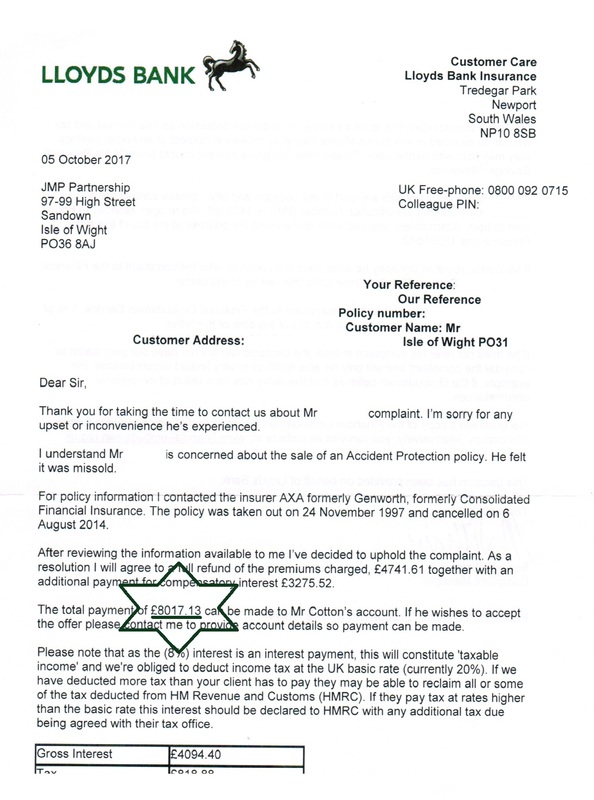 If 13 months of CORI resulted in a refund of over £10,000 but the clients had actually been paying for this policy for 14 YEARS, the next refund is going to be a HUGE refund. UPDATE: 9.12.17 I said in the above paragraph that these clients were waiting for an update following our challenge to the calculations on their CORI case. We disagreed with the calculations and we sent the case to the Financial Ombudsman Service. 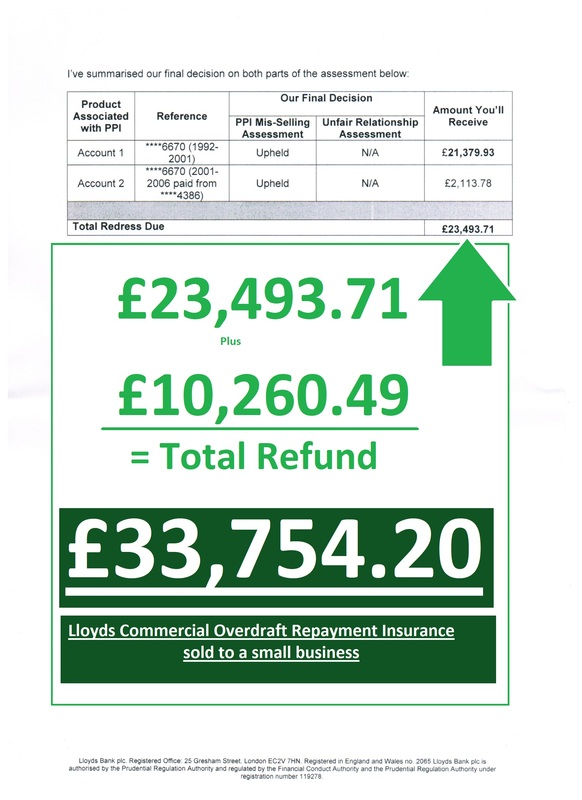 Today Lloyds made an ADDITIONAL OFFER and here it is, a FURTHER £23,493.71. It was actually in the clients account a few days before we received this letter! But guess what, we still don’t agree with this offer and the case remains ‘live’ at the FOS. Why might you ask, what is wrong with it? Well for starters it makes no mention of the fact that these clients were paying overdraft arrangement fees every year, to arrange an overdraft they wouldn’t have had or needed if they hadn’t been sold over £50,000 of policies and products that were completely unsuitable for these clients. So now we will be arguing for a refund of those arrangement fees as they were a consequence of Lloyds mis-selling all these policies and products. We expect that refund to be thousands of pounds more in due course. In the words of Basil Fawlty – ‘THIS IS TYPICAL’. If this was a one off, it wouldn’t justify consumers always using CMCs. The reality is, we see cases like this all the time. 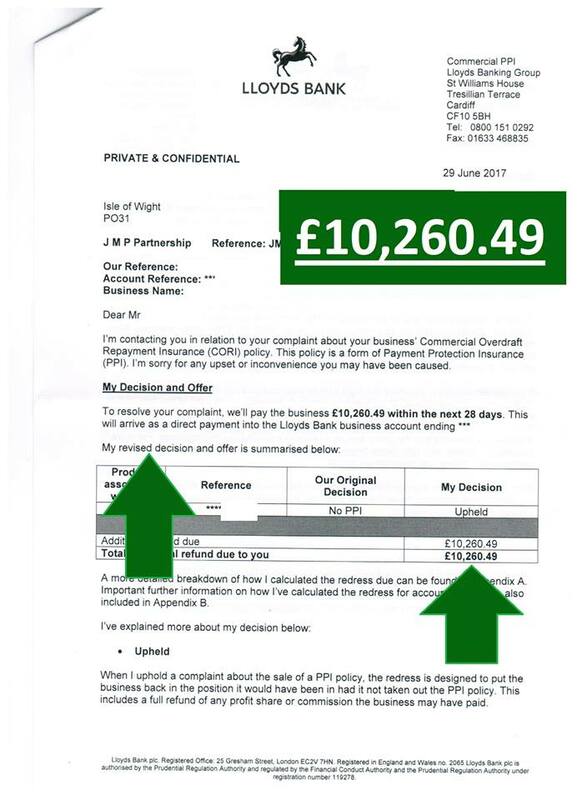 Almost every week we see cases where banks say ‘NO PPI’ or ‘UNABLE TO LOCATE’ and after further detailed investigation, the client gets thousands of pounds refunded to them. This is why banks like Lloyds want the CMC industry closed down. They know that most consumers are just like Mr & Mrs C. When consumers write a letter of complaint and their bank tells them that they have no record of PPI being mis-sold to them, most consumers accept that response, just as Mr & Mrs C did for 3 years. CMCs like JMP Partnership know that responses like this are often wrong. What does the future hold for JMP Partnership? We’re just a small family business. We employ 15 people and we currently recover millions of pounds for our clients every year. We only get paid if we are successful recovering money for our clients. But that will all have to change in early 2018. Currently we will pursue ANY PPI CLAIM against any financial institution on a NO WIN NO FEE basis. As of 1st February 2018 we will not be able to do that. We will be moving to a completely new business model and many of the banks that we previously pursued claims against will no longer be pursued. Take Blackhorse (part of the Lloyds Banking Group) for example. The uphold rate, i.e. the number of complaints that result in a refund as a proportion of the number of claims we investigate, is very low compared to some firms. This is simply because many Blackhorse PPI policies were sold many years ago and are not at all easy to ‘track down’. That doesn’t mean that they DIDN’T mis-sell millions of pounds of PPI, they certainly did. A recent refund paid to one of our clients by Blackhorse was over £3100. But for every complaint we investigate and raise that results in a refund like this, we work thirty Blackhorse cases that result in either no refund at all or a relatively small refund. 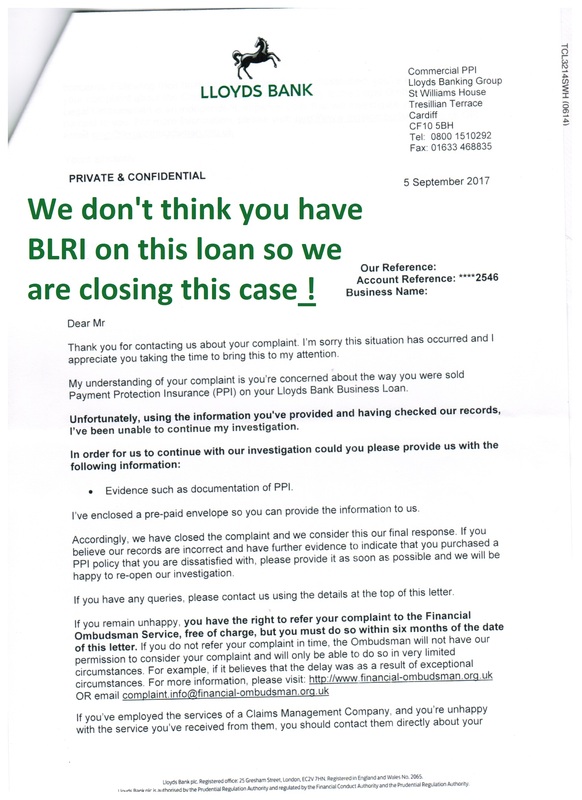 So very soon, we will tell our clients that all the ‘difficult cases’ like Blackhorse PPI complaints, can no longer be worked on by our firm. Most CMCs will make the same decision, of that I have little doubt. Firms like Blackhorse will avoid refunding MILLIONS of pounds to consumers due to this change in the law and it seems nobody realises that will be the end result of this ill-thought out legislation. We will continue to work on cases that have a better than 20% chance of resulting in a refund to the consumer, and we will start the process now of moving away from PPI claims altogether. In the boardrooms of big banks like Lloyds, champagne corks will be popping as they see the imminent end of an industry that has prised many billions of pounds out of their vaults and deposited it in the hands of consumers. Parliament very rarely intervenes in the market these days. The rent you pay isn’t regulated, nor the cost of the food you buy or the petrol you put in your car. Why then is Parliament seeking to intervene in this market? If you think this legislation is a disaster for consumers, you can contact your MP and ask him to read this analysis before he or she votes to make this legislation law.